The Joint at the Hard Rock Hotel and Casino was packed and fans watching live in attendance and at home were treated to a night of fights that could be the best show of the year for the UFC. On the card were the final fights in the welterweight and heavyweight divisions of the “Ultimate Fighter 2” reality show along with two very good match-ups in the welterweight division. The night started off with “Ultimate Fighter” season 1 participant and former finalist, Kenny “Ken-Flo” Florian against 4 time muay thai world champion, Kit Cope. Fans had been treated to a great amount of hype leading into this fight, mostly with Kit Cope talking about Florian and his entrance into the UFC’s 170lb weight class. Everybody knew going into the fight that both fighters had very specific gameplans. Florian, a black belt in Brazilian Jiu-Jitsu would be looking for a ground fight while Cope, a 12 year veteran of kickboxing, would hope to keep the fight on the feet. In the first few seconds of the fight, Florian shot in right away and worked for a body lock to try and take Cope down. To Cope’s credit he did look to be the much stronger fighter and was able to land a good elbow and stop Florian’s takedowns for much of the first round. But eventually the Boston native got Cope to the ground where it was obvious that Florian had a definitive advantage. Florian passed Cope’s guard fairly easily and eventually ended up in the mount, where he turned and cranked a very tight armbar. With only seconds left in the round, the horn sounded and a second later Cope tapped Florian’s leg to stop the fight, but referee Herb Dean informed the fighters that the round was over, but the fight was not. As the second round began, Cope’s arm almost dangled at his side as he winced in pain. The fight again quickly went to the ground where this time Florian left nothing to chance and sunk in a deep rear naked choke causing Cope to tap out. Kenny Florian walked away the victor by way of a rear naked choke, early in the second round. The next fight of the evening was the final fight in the “Ultimate Fighter” welterweight division. Joe “Daddy” Stevenson, the favorite to win the entire competition in the beginning took on the fighter who was picked last on the show, “The Silent Assassin” Luke Cummo. For some reason, the commentators and many fans seemed to think that because of Stevenson’s prior fight experience and obvious ground skill that he would walk through Cummo in this fight, but the truth was much, much different. In the first round, Stevenson was able to take Cummo down and hold him there, working from inside his guard throwing elbows and punches while loosening Cummo up to apply a submission. To Cummo’s credit, at no point did he look panicked and was able to withstand Stevenson’s punishment. And Joe Stevenson showed in the first round the type of ground and pound and busy work that other wrestlers in the UFC have not shown right out of the gate. The second round was much of the same but during the duration, Cummo was able to land a very solid shot to Stevenson’s face and he was definitely in trouble for a brief moment. But like many great ground fighters, Stevenson was able to regain his composure and take Cummo down and keep the fight on his terms. Cummo did show a great amount of heart and some very good striking in the round, which may have swung it his way with the judges. As the third round began it was Stevenson who looked to be the more tired of the two competitors. Cummo, who was critiqued for his unique diet and exercise routines, definitely showed that it paid off as he was much fresher for the last round. Despite being tired and at times putting his hands at his sides, Joe Stevenson showed why he came into the competition as the favorite, still being able to take Cummo down and almost securing a few submissions even as tired as he was. 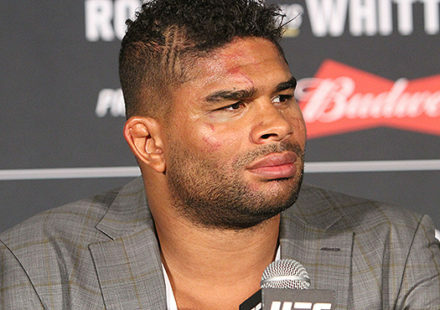 The fight was described by UFC president Dana White as “Forrest Griffin and Stephan Bonnar all over again except on the ground,” which was a very accurate statement. Both fighters showed tremendous heart and the judges gave a unanimous decision to Joe Stevenson along with a new 6 figure contract to fight in the UFC. Luke Cummo should also have a place in the UFC after his performance and is sure to become a fan favorite. The heavyweight final showcased Rashad Evans, who Dana White and Matt Hughes had both criticized non-stop during the “Ultimate Fighter” show, came into the finals as possibly the most unlikely of candidates to walk out champion. During the show he took out both coaches’ number 1 heavyweight contenders and did all this as a very small heavyweight for the competition. His opponent, “The Hillbilly Heartthrob” Brad Imes was getting his shot at a UFC contract just a little over a year after he started training for the sport of mixed martial arts. After the show ended, Imes headed to Cincinnati to train with UFC champion Rich Franklin, Jorge Gurgel, Tim Sylvia and guru conditioning trainer, Billy Rush. It was a four month crash course to prepare Imes for this fight and the 6’7″ fighter was ready to prove he belonged in the UFC. The reach advantage that Imes had in this battle was made very clear in the beginning of the fight. Imes seemed to have trained for this fight specifically looking for the muay thai clinch and go for knees on his shorter opponent. Rashad Evans on the other hand showed great counter boxing skills and as a collegiate wrestler knew what to do to take the fight to the ground or avoid it going there if he chose. Imes threw a number of good jabs and Rashad seemed to have trouble dealing with the size difference to start the fight, but still managed to land some very good shots and even opened a cut on his larger opponent. In the second round, Rashad Evans was able to land some very good left/right combinations, and at the same time keeping Imes from doing any real damage to him. Evans may have been able to inflict a lot more damage in the second round but towards the end, seemed to start to gas and his stamina was in question. The third round started with Rashad’s arms at his side and with his conditioning coming into question it was hard to say if he could make it through a final round. Instead of Rashad giving up he again landed a devastating shot to Imes, dropping the former Missouri football star to the canvas. Rashad jumped in to finish the fight and referee Herb Dean should get a lot of credit for not stopping the fight too soon, as Imes was able to recover and even though Rashad was the much better wrestler, he could not hold down the stronger Imes. The rest of the round went back and forth and as the final horn sounded it was truly a toss-up as to who won the fight. As Bruce Buffer announced the second judges scorecard it was obvious that it was a split decision, and with the final judges score, Rashad Evans was awarded the win in an epic fight that could have gone either way. Rashad Evans was able to show his skills and is now a contracted fighter for the UFC. Brad Imes showed great composure and if he continues to train with Franklin and his crew, he is sure to be a force in the heavyweight division at some point down the road. The main event of the evening was a fight that had been billed as two fighters who truly didn’t like one another. Nick Diaz had talked for months that he thought that a lot of the fighters from the “Ultimate Fighter” were getting spoon fed fights and didn’t deserve to be in the UFC. Diego Sanchez, who won his division in the first “Ultimate Fighter” walked into the fight undefeated in 15 professional fights, looking to prove he did belong there. When the fighters stared down as John McCarthy gave the rules, Diaz stepped in and butted heads with Sanchez, prompting McCarthy to separate the two and the tension mounted. As soon as the fight started, much like the Stevenson/Cummo fight, it was again a fight where one man wanted to keep it standing and the other wanted it on the ground. Unfortunately for Nick Diaz, he couldn’t stop Diego Sanchez’s shots and was taken down early in the round. Diaz, who trains out of Cesar Gracie’s school, has a tremendous guard game and while Diego stayed busy throughout, he never landed any really damaging shots. 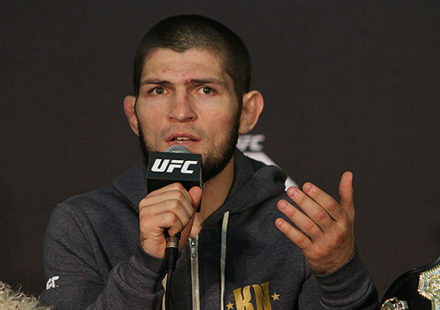 Diego did control the fight on the ground and while Diaz was able to keep from sustaining any real punishment, he also didn’t progress into any real offense of his own. The second round was much of the same with Diego Sanchez in Nick Diaz’s guard, grounding and pounding his way to a dominant position. 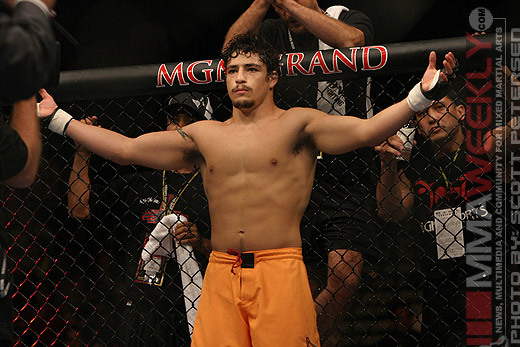 One thing that Diego Sanchez can never be accused of his having a boring ground game as he was relentless trying to pass the guard and always stayed busy with punches and elbows. Again, another dominant round for Diego Sanchez. The third started off more interesting as Diego shot in a couple of times but wasn’t able to secure a leg and did get caught by Diaz and seemed a bit stunned. During the fray of trying to get a takedown, Diego did get caught and a large cut opened over his eye and blood was seen on his opponents chest and stomach as he resumed his ground and pound attack on Diaz. Although the cut did bleed a fair amount, the referee never felt Sanchez was in danger and let the fight go. The final moments were a flurry of ground skills being displayed by both fighters. When the judges rendered their decision, it was unanimous win for Diego Sanchez, and the “Ultimate Fighter” winner silenced even more of his critics and stepped closer to a possible title shot in the future. Diego Sanchez showed great ground skill keeping from ever really being threatened by Diaz’s jiu-jitsu, and was Sanchez that almost secured an armbar during the fight. 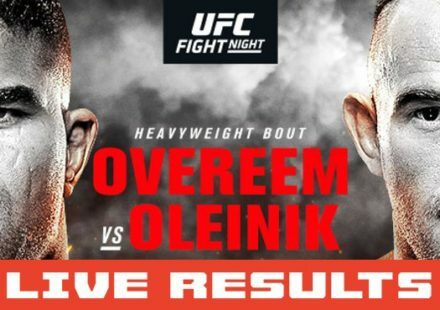 Despite the fact that three of the four televised fights went to decision, this was exactly the kind of show that the UFC had to be hoping for. Every fight was very exciting and every single fighter went out trying to win their respective fight. The UFC has to be happy with Kenny Florian’s performance and he may be a true contender if they bring back the lightweight division at some point, which is where Florian would thrive. Joe Stevenson could have already been in the UFC, but is now guaranteed a shot. A match-up with someone from the first season of the “Ultimate Fighter” has to be a tempting fight for the UFC to book sometime soon. Rashad Evans said in his post fight interview that he would most likely drop down to light heavyweight where he could be more competitive. Evans always seems to find a way to win, and it will be interesting to see how he matches up with some of the 205lb fighters in the UFC. Diego Sanchez was able to again impress everyone with his performance over a great fighter like Nick Diaz. He can’t be far away from testing the waters with Matt Hughes or Georges St. Pierre, depending on how the rankings stack up after UFC 56. Overall, a great show and hopefully the ratings will reflect what a truly exciting card this was.